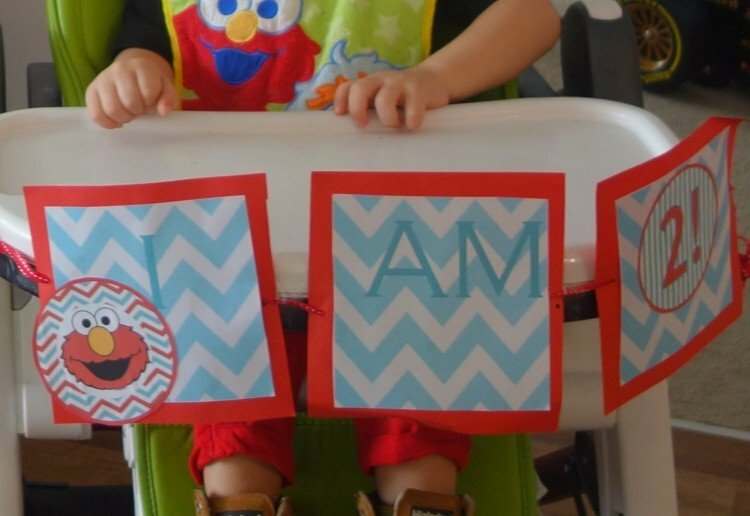 This cute little Elmo banner I made for my son’s Elmo themed 2nd Birthday is easy to make! Find a pattern on google images that isn't copyrighted and copy it into a word document. Eg, Zig zags or circles. Once in word write on top of the pattern I AM 2. Or whatever you wish to write for your banner. Cut sqaures from the coloured paper and stick your pattern onto them leave a little border of the coloured paper. Stick each letter on and an Elmo picture on the boxes or the theme you have chosen in whatever way you want to set it out. Make holes for your ribbon and thread through each square. Sticky tape onto your babies highchair. Notes... A great handmade party decoration to add to your toddlers Birthday Party. I work as a freelance Model and Make-up artist. I'm always on the lookout for unique faces for my Makeup Blog and website. I love cooking. All my recipes are Egg, Dairy, nuts and seaseme free. I hope you enjoy my Allergy Free cooking as much as I do. So cute! My daughter’s 1st birthday party is coming up. This banner looks wonderful and so easy to create. So cute! My nephew would love it! home made with love is always best. very clever and great when sorting out photos in a few years time. Easy to see how old they were. That’s such a cute idea! I’ll definitely be trying it out! Thanks so much, I’m so glad everyone is loving the idea. This is fantastic for birthdays! We will try it for our daughters 1st! Fantastic work, so cute and it’s easy to make too. lovely idea and quick to make.